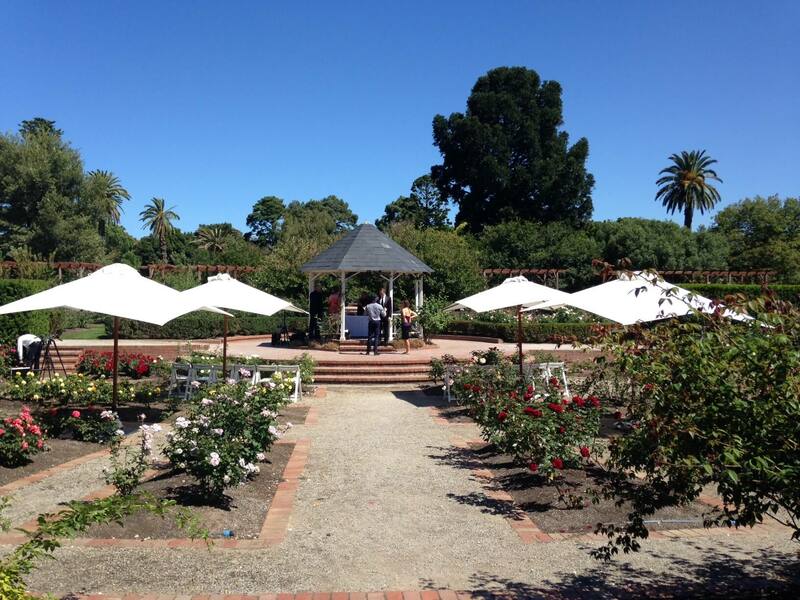 Entering the St Kilda Botanic Gardens through the grand main gate, one could be excused for feeling like you are in the back yard of someone rich and famous. 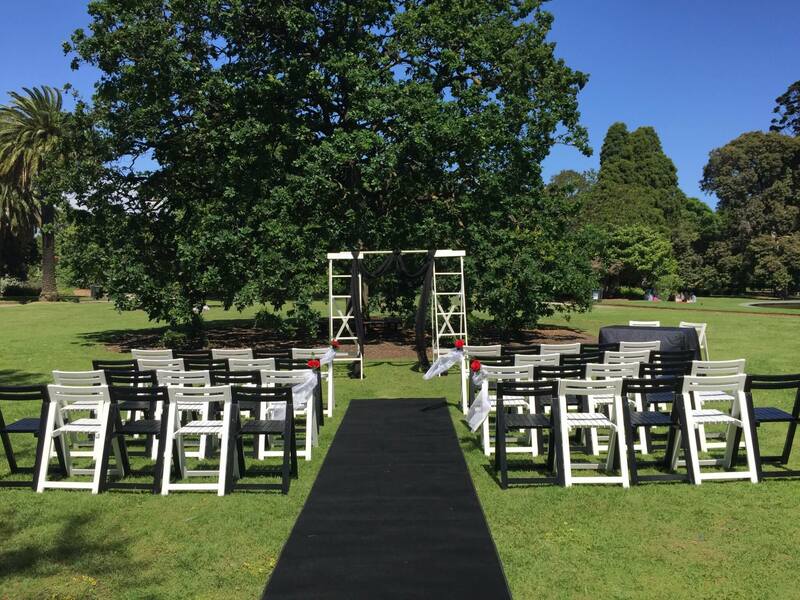 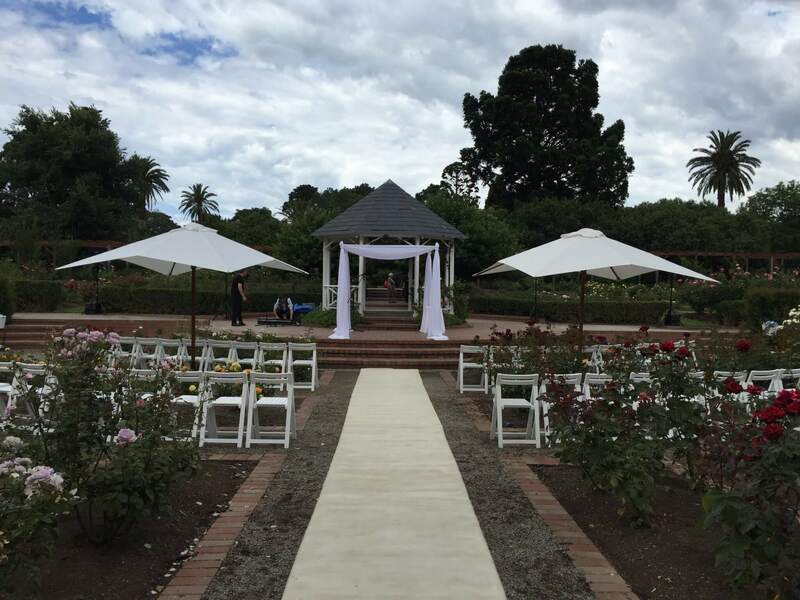 The gardens are quite large with lots of open lawn areas, palm lined paths and a couple of perfect wedding ceremony locations. 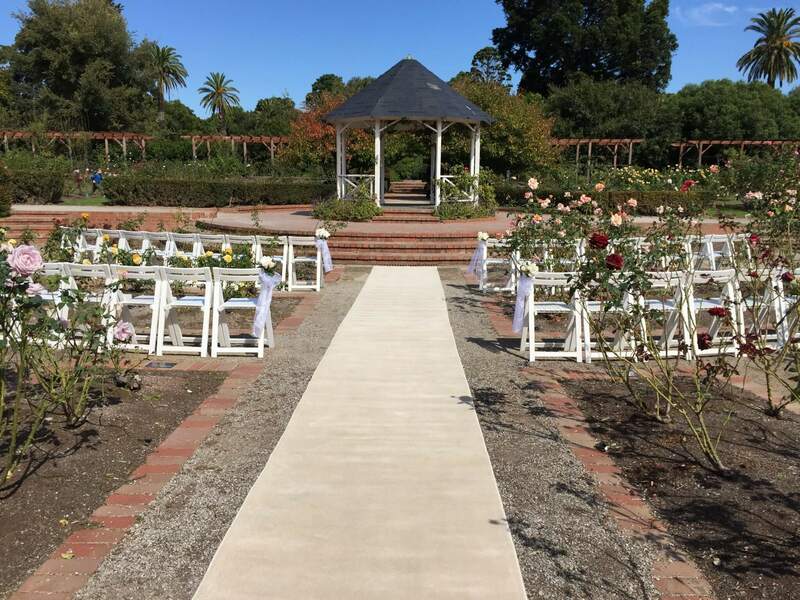 The rose garden and rotunda is an extremely picturesque setting when the roses are in bloom and the pergola is a feature and highlight of the garden.